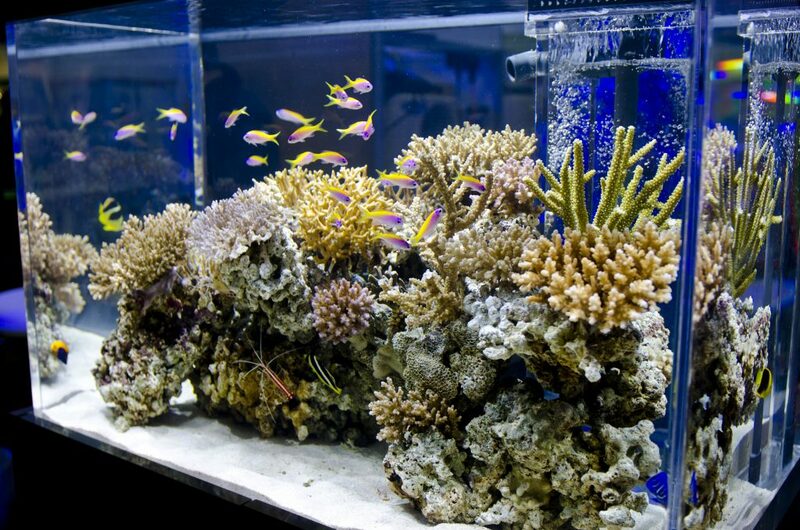 There are three basic types of aquarium setups: freshwater, saltwater, and brackish water. Before selecting the size and shape of your aquarium, you’ll need to decide what type of fish species you prefer to keep and if the local water conditions are in sync with your choice. Have fun with this step and do some research so you know what you might have to deal with if your water does not match up with what your preferred fish need. You should also visit your local aquarium shop and take a look around while chatting with them about your plans! When selecting the size and shape of your aquarium, the type of fish you plan on keeping and the amount of maintenance you are willing to do are big factors in the decision making process. Additionally, home space and financial considerations also may influence your choice. One simple rule of thumb however is that you should select a durable tank that is larger than you think you initially need (everyone tends to want more fish than they originally think they do and often times have to buy a larger tank in short order) affordable and will provide a happy home for your fish. Your local aquatic professional can be a great resource for size, shape, and environment selection offering the best chance for a thriving setup. ®Hikari’s favorite part of fish keeping is the interaction through daily feeding and reduced maintenance you can enjoy if you choose the proper food and feeding regiment. A schedule that matches your tanks population is a necessary component for good fish keeping. As the heart of your ecosystem, a finely-tuned filtration setup will help remove waste and keep your water crystal clean. To ensure the health and wellness of your fish population, water circulating at a rate that aligns with the size of your fish and setup is necessary. Don’t undersize the filtration on your setup, this will make maintaining it the headache you want to avoid. You want to enjoy your aquarium not be a slave to it. When it comes to diet, all fish require “species specific™” nutrition to sustain their health. Find out more about feeding here.